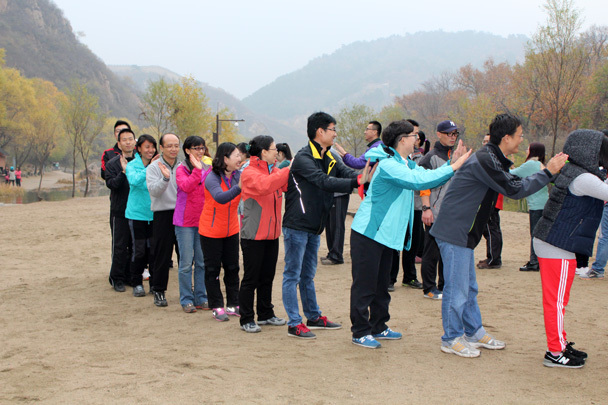 In Brief: Photos from a day out with CNCC, including hike photos and shots of the taichi teambuilding. 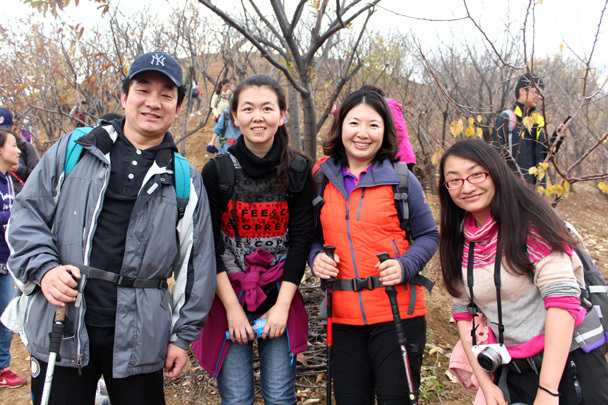 The CNCC team at the end of the hike. 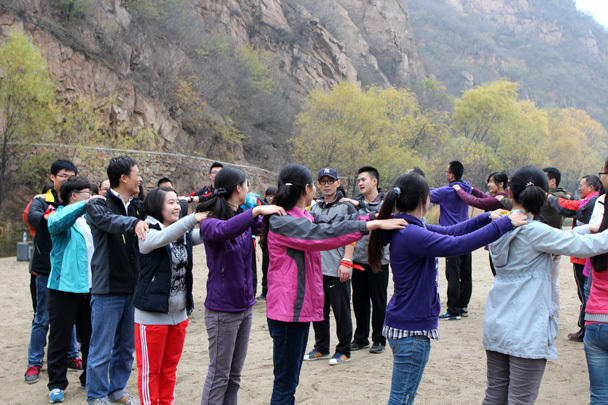 We’re best known for our small-group hikes, and over the years we’ve built a solid system of organisation. 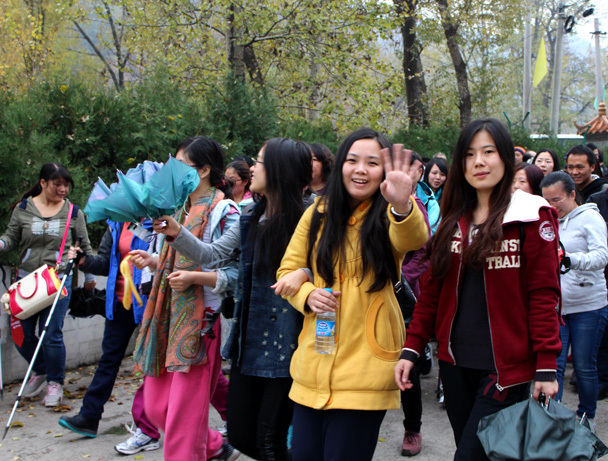 Over the years, we’ve also hiked pretty much everywhere in Beijing! 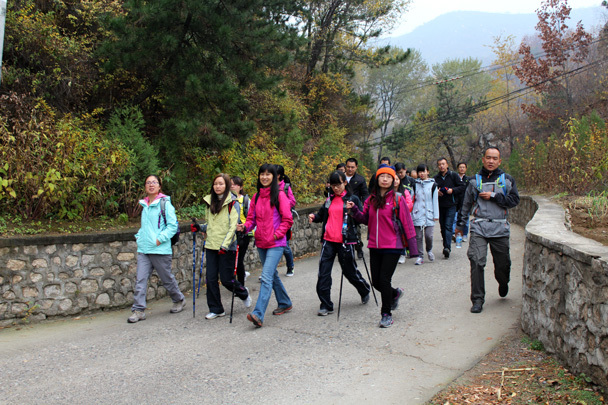 With all that experience we’re able to put together outdoor activities for larger groups, chosing locations that suit the activity requirements and fitness levels of participants, and making sure everything runs as smoothly as our normal hikes and trips. 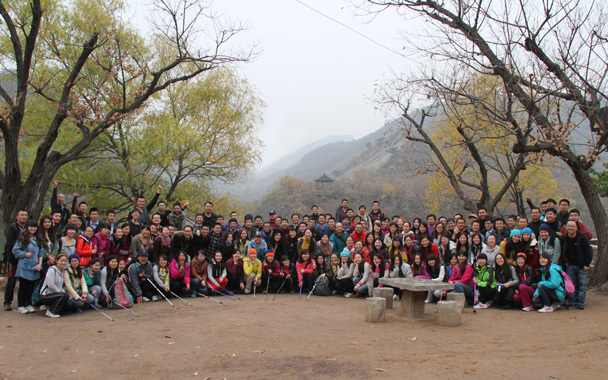 China National Convention Center (CNCC) chose us to do their October company teambuilding, and we took them out into the hills for a relaxing day out of the office. 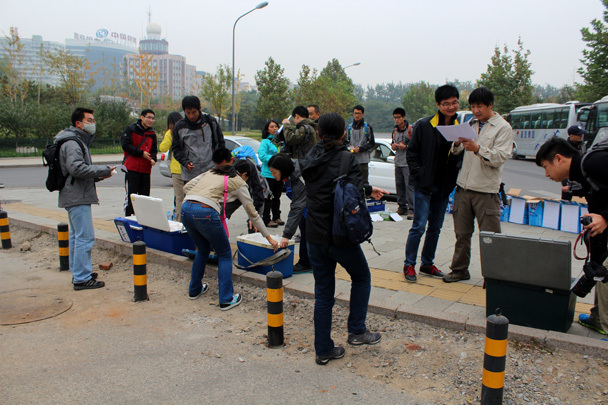 On the morning of the hike we set up at the meeting point in Haidian, and handed out snacks and water to the participants as they arrived. 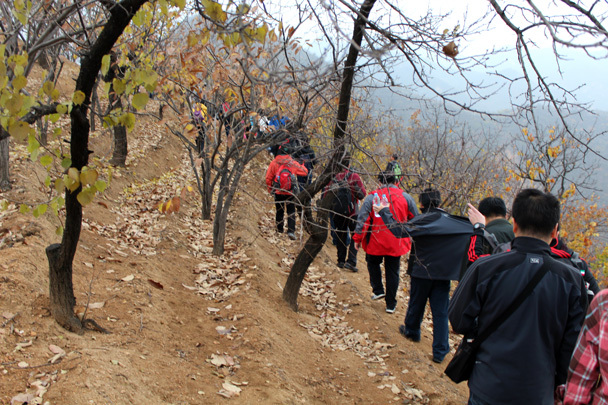 Once everyone was on board we headed out to the countryside, starting with a stroll down through some villages before following a trail through chestnut orchards and climbing up on to a stretch of Great Wall. 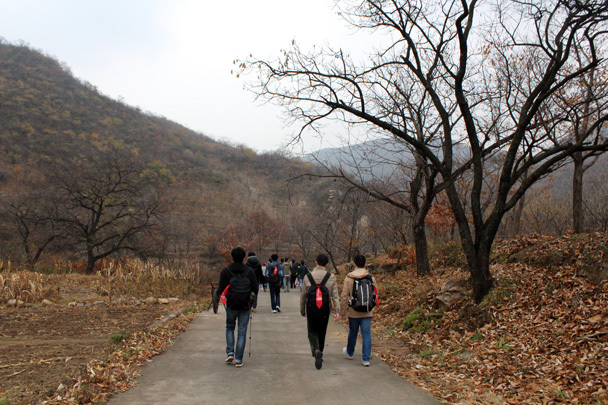 After walking the wall we continued down a valley towards the Little West Lake, a park area beside a reservoir in the hills of Huairou District. 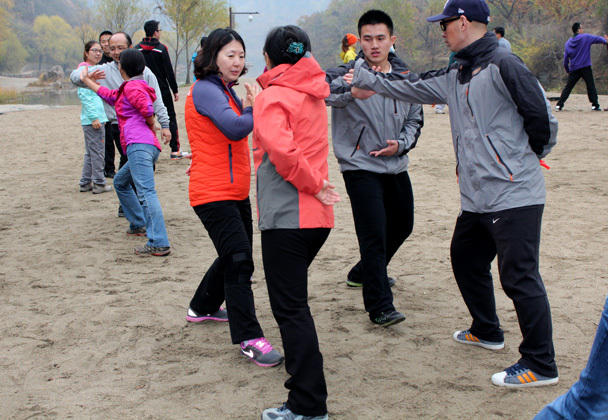 Beside the reservoir we got started with the taichi teambuilding, led by two instructors from the Beijing Sports University. 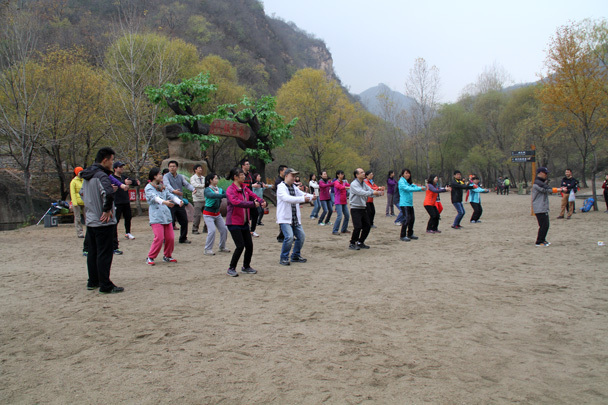 They started off with a cooperative warm up and stretching session, and then started participants out on some basic taichi movements. We thought this was a great combination for a company outing - getting out into nature for a hike, and learning some stretching techniques to help with the aches and pains of too much office work. See photos from the event below, and thanks, CNCC – it was a fun day out! 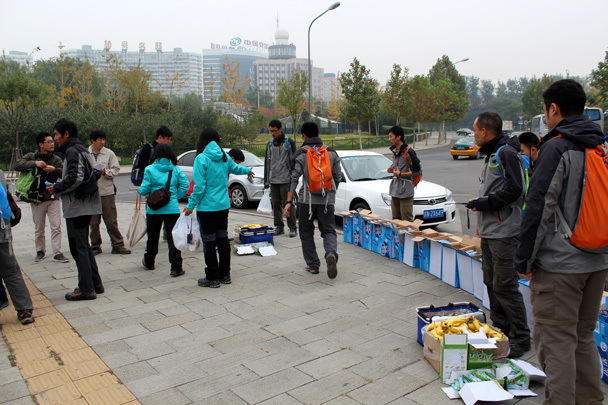 Hiking guides handing out snacks and drinks at the departure point. 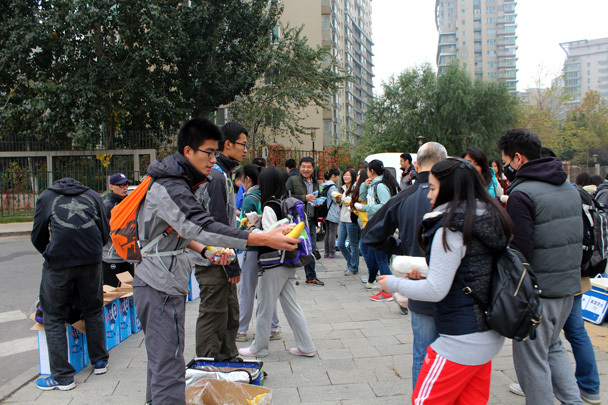 We supplied bananas, water, and sandwiches. 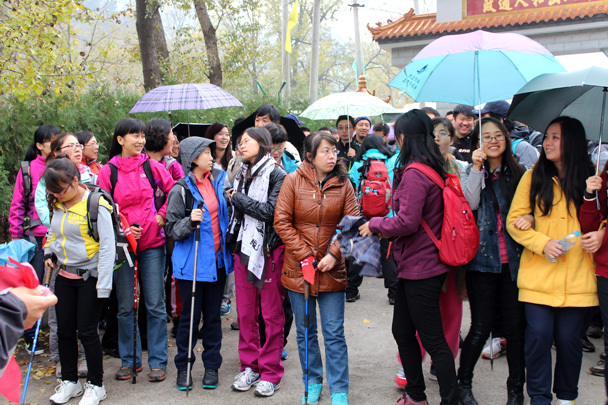 Umbrellas out at the beginning of the walk. 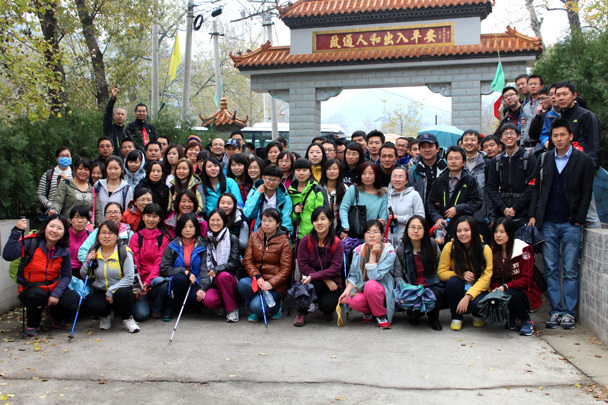 Group photo at the starting point. 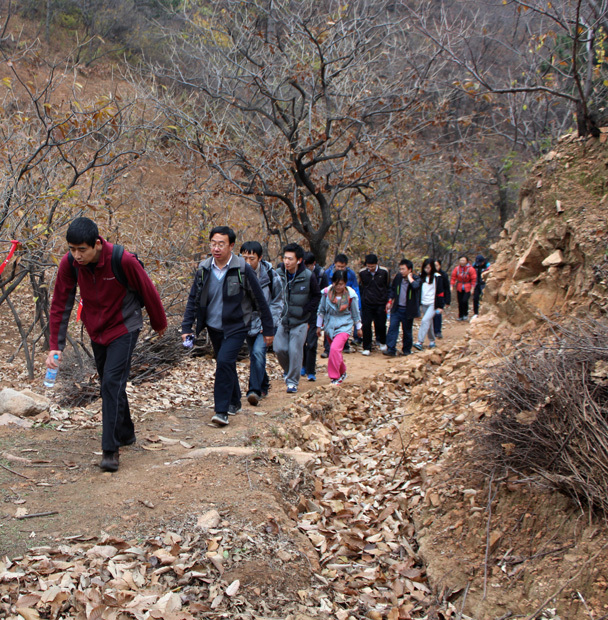 We followed a narrow road down into a valley. 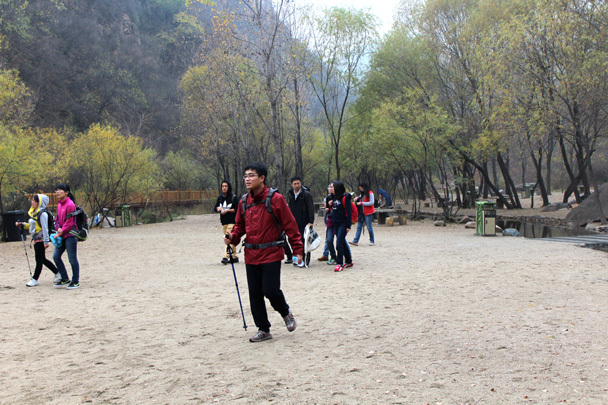 Participants were all given a red ribbon so we could see who was part of our hiking team. 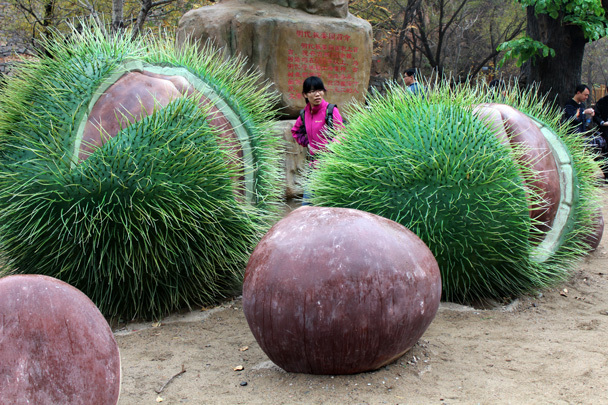 Cabbages in the fields around the villages. 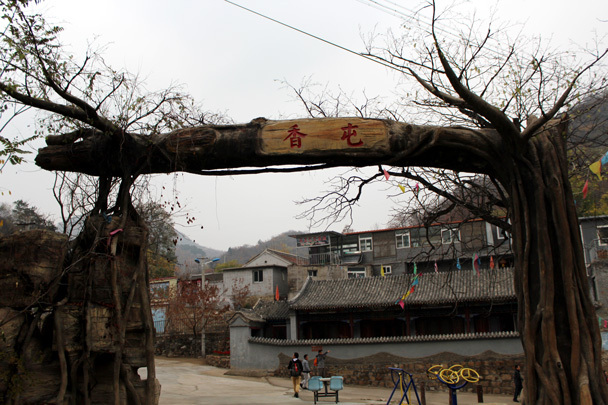 An ornamental gate at Xiangtun Village. 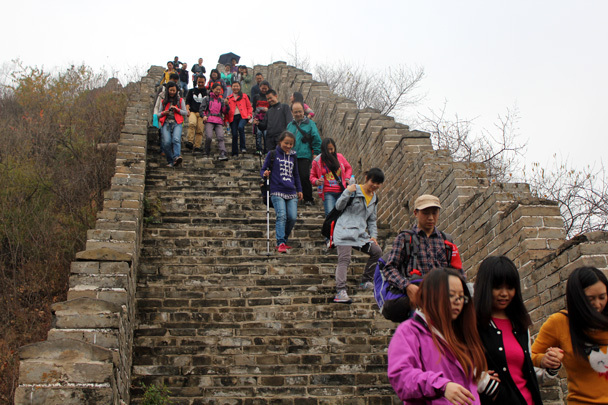 Here‘s where the hike got a little more difficult – a hill climb to get up to the Great Wall. 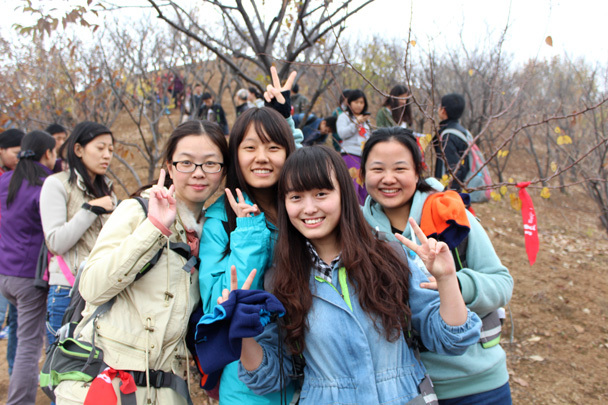 We hiked farm trails through chestnut orchards. A month too late to get chestnuts, though! Happy to be out of the office? We think so! 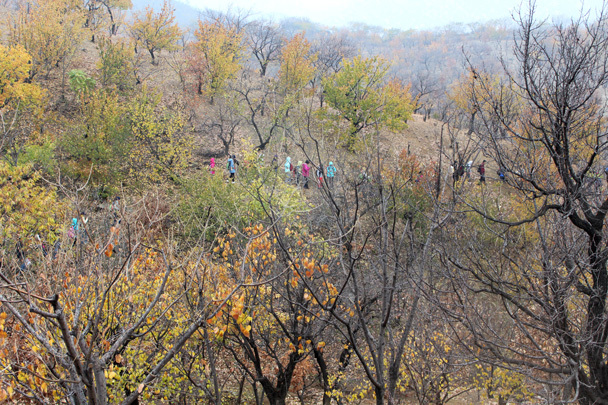 The trail continued through the hills. 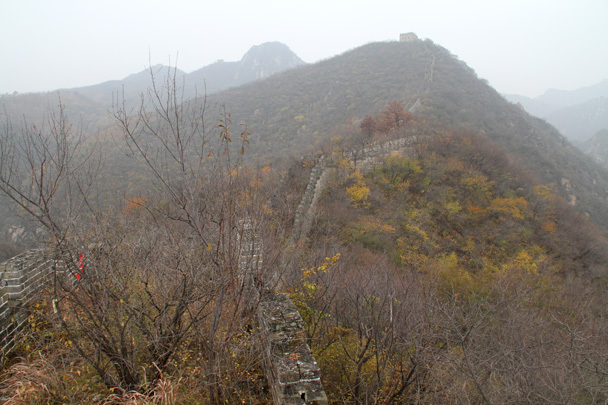 A line of Great Wall runs up into the misty mountains. 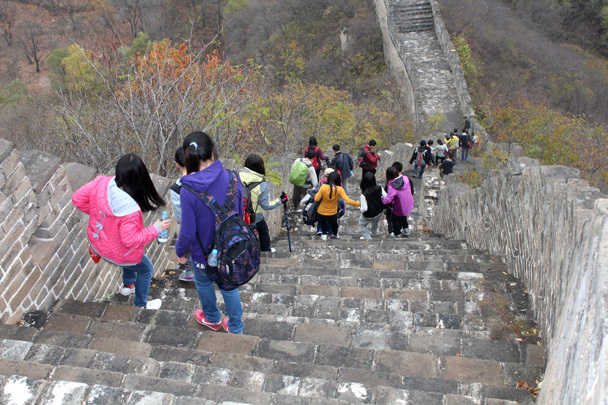 A steep section of restored Great Wall. 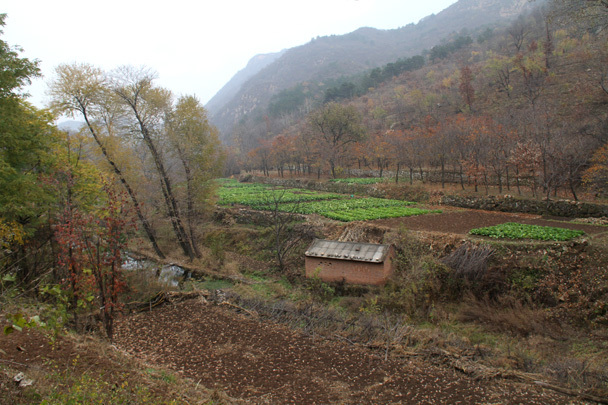 The Great Wall here dips down into a valley. Arriving at the beach beside the big reservoir. 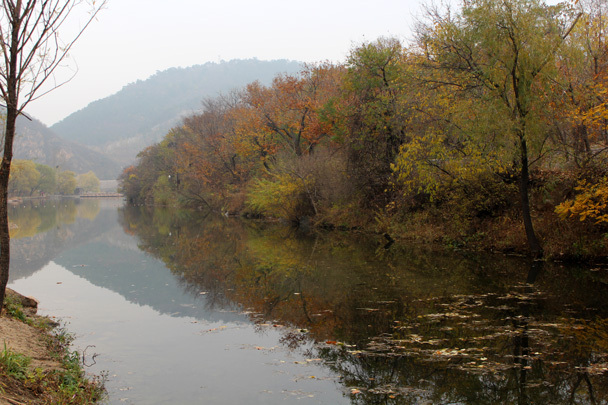 A view of the scenery beside the reservoir. 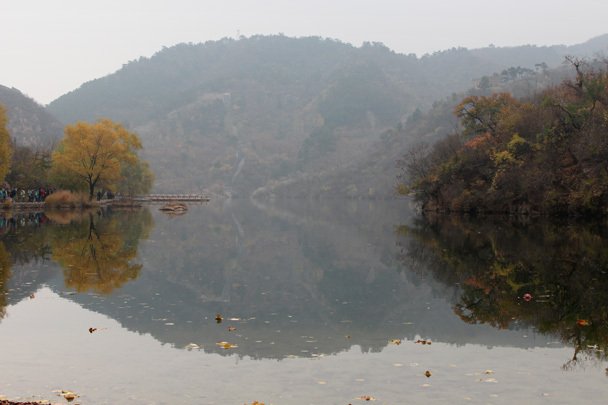 Another shot of the reservoir – and this is mist, not smog! Starting out with the cooperative warm up. A nice massage for the shoulders. 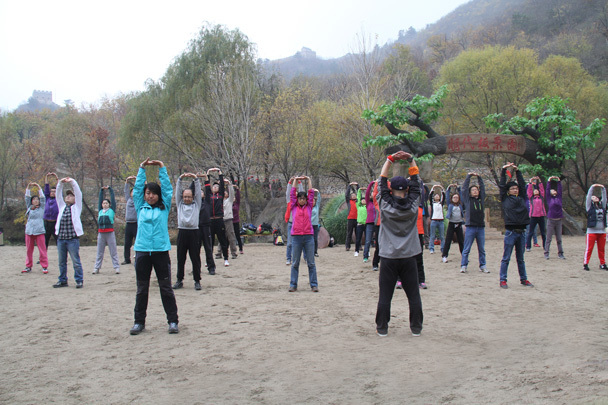 Everyone made a circle around the instructors from the Beijing Sports University as they led a stretching routine. Time to try some taichi techniques. 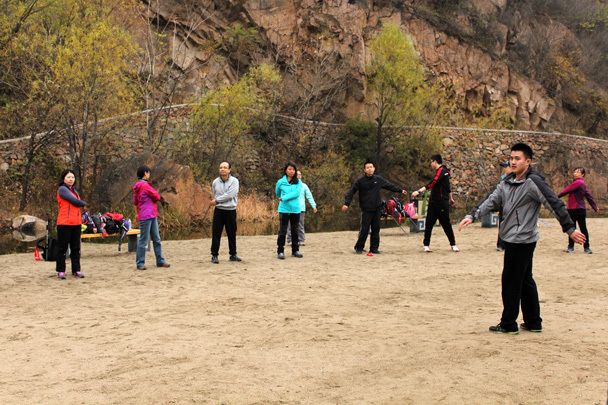 The starting pose of a taichi form. Stretches for the back and shoulders. 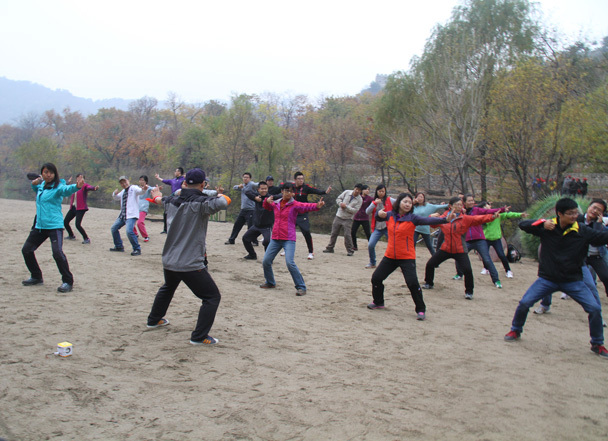 A taichi stance that looks like drawing a bow. 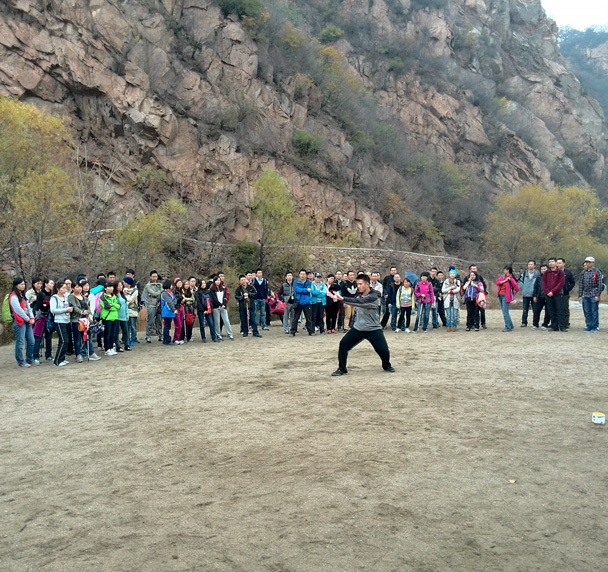 One of the taichi instructors demonstrated a taichi routine. The CCNC group, all stretched out and relaxed!